It’s been over 20 years since the first Pokemon game took the world by storm. The global phenomenon has gone on to air a long-running anime, release multiple movies, and, of course, there are the games, which not only consist of video games but card games as well. But Pokemon: Detective Pikachu is the first Pokemon movie of its kind to see live-action humans interact with Pokemon. While the concept of it all may seem silly, basing the film on a spinoff makes sense. Normally, these games follow a protagonist who goes on a journey across a large region to fight other trainers and collect all of the Pokemon. However, that doesn’t necessarily lend itself to being a good film. So instead, a spinoff of the game with familiar characters works. We get a far more focused story that doesn’t require the same repetitive Pokemon battles and learning and growing on the journey story. Then there is Detective Pikachu himself, who seems to be the only one who can communicate with Tim (Smith). The watered-down wise cracks seem like Reynolds is channeling a more child-like version of Deadpool, only with a less-developed profane vocabulary. The film also Kathryn Newton and Ken Watanabe in live-action roles. 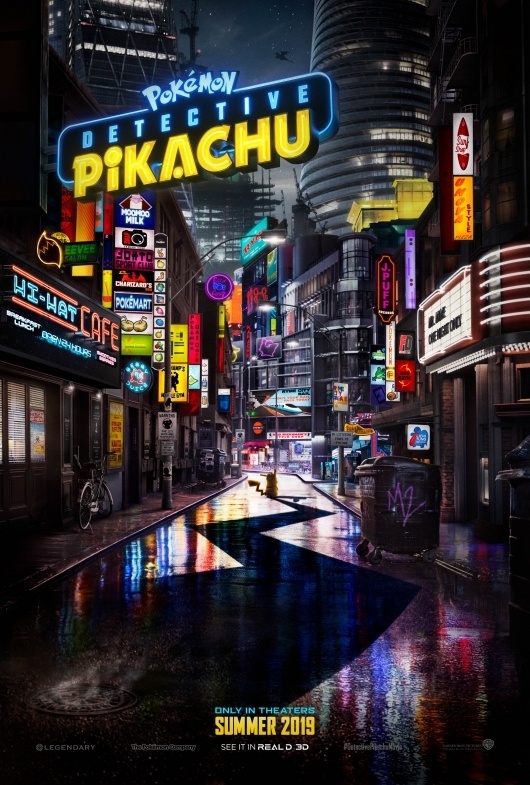 Directed by Rob Letterman and written by Nicole Perlman and Letterman, Pokemon: Detective Pikachu opens in theaters on May 10, 2019.